» The End of a Mini Era: Where Does Real Madrid Go From Here? Things move quickly at Real Madrid. One day you’re on top of the world, celebrating La Décima, and then before you know it, a year has gone by and suddenly everybody’s (probably) looking for a new job. Technically, Real Madrid are still alive in the La Liga title race, but with a four-point gap and two games to play, it’s doubtful they’ll chase down Barcelona. After yesterday’s 3-2 aggregate loss to Juventus in the Champions League semifinals, the Madridistas are staring down a season without a single trophy,1 and at a club where the only constant is change even when things are going well, nobody’s job is safe — unless you’re a certain Portuguese superstar. The most predictable development is the end of the Carlo Ancelotti era. Winning Madrid’s 10th European championship and stringing together a historical 22-game winning streak, Ancelotti had a good two-year run. At this point in his career, he’s basically the managerial version of a fixer. Got some star players? Ancelotti will whip them into fighting shape, no problem. Politics and infighting among upper management? Ancelotti’s got a shrug and a grin for you, both clearly supported by several decades of cigarettes and antacids. Madrid is Ancelotti’s seventh coaching stop, and it looks like it’ll be the fifth stint that lasts for exactly two seasons. His iconic eight-season run at AC Milan is the exception to his peripatetic career, not the rule. In that sense, Ancelotti was a perfect fit for Real Madrid, where the managers come just as fast and furiously as the players. Before him, it was José Mourinho for three years, and before that, you have to go all the way back to Vicente del Bosque, who ruled the Bernabéu from 1999 to 2003, to find a manager who has survived for even the same number of years as Ancelotti. Beyond the hyperspeed managerial revolving door, the march of the superstars is fast becoming an annual tradition at Madrid. While it might be too early to speculate on who could arrive,2 we can still take a look at who might be leaving. Of course, the left-footed Welsh elephant in the room is Gareth Bale, whose relationship with the Madrid fans may have already moved well beyond the “let’s stay together for the kids” stage.3 Could Madrid really offload the star they broke records to buy two summer ago? If another moneybags club comes calling, it sure seems possible, but after rumored Bale destination Manchester United agreed to a deal for Dutch winger Memphis Depay last week, it seems at least a little less likely. Moving Bale would be the highest-profile and most expensive transaction, but other possible changes loom. Isco is reportedly unhappy with his playing time, and Asier Illarramendi is a defensive midfielder trapped on a team that seems to have a mandate to never play one. Remember Sami Khedira? Don’t worry, neither does anybody else at Madrid, but his contract is up, too. One way or another, changes are coming to Real Madrid, because changes are always coming to Real Madrid. Next year’s squad will look different from this one, but the shuffling happens every year: Before this season, it was James Rodríguez and Toni Kroos for Ángel Di María and Xabi Alonso, and the year before that it was Bale for Mesut Özil. Amid all the inevitable upheaval, there is one problem that needs addressing, and it happens to be the one guy who definitely isn’t going anywhere. Cristiano Ronaldo is still great, and he’ll still be great for the next few years, but he’s also not what he once was. For the entirety of his time at Real Madrid, Ronaldo has been the world’s most dominant striker/winger hybrid. He played on the left but scored like almost nobody else. With the ball at his feet, his speed and technique were so breathtaking that it’s easy to forget he was also as dominant in the air as any center forward on earth. However, that sheer athleticism and pace have been absent from Ronaldo’s game for the better part of this season. Maybe it’s just the end of a long two-year stretch with a World Cup right in the middle, but those ridiculously sculpted legs simply don’t churn quite like they used to. Again, maybe that will change; maybe a summer off to recharge the batteries and reload the legs will have Ronaldo back up to his previous speed. But he’s also already 30, and betting on players to get healthier, faster, and stronger after they cross that barrier makes for long odds in any sport. Now, this doesn’t mean the end of Ronaldo, but it might mean the end of Ronaldo as hybrid, and the beginning of the next stage of his career, when he becomes a dominant goal poacher. He remains one of the scariest individuals alive in the penalty box, even if his influence outside of it has begun to wane. Real Madrid is just different from other places. It’s bigger, it’s faster, it’s more demanding, and therefore it’s more unfair. If we say this loss marks the end of an era — well, at any other club, that era would be most notable for its brevity, but at Madrid it’s notable for its length. What comes next will be markedly different, but whether it’s better depends on Ronaldo. We already know he can adapt. We’ll find out this summer if the club can adapt around him. Except for the Club World Cup, but winning the Club World Cup has never provided anyone with job security. Just ask Rafa Benítez. Other than Manchester United keeper David De Gea. Consider this your “De Gea to Madrid” speculation. But before we go on, let’s pause for a minute and recognize that this “relationship” is not a two-way street. 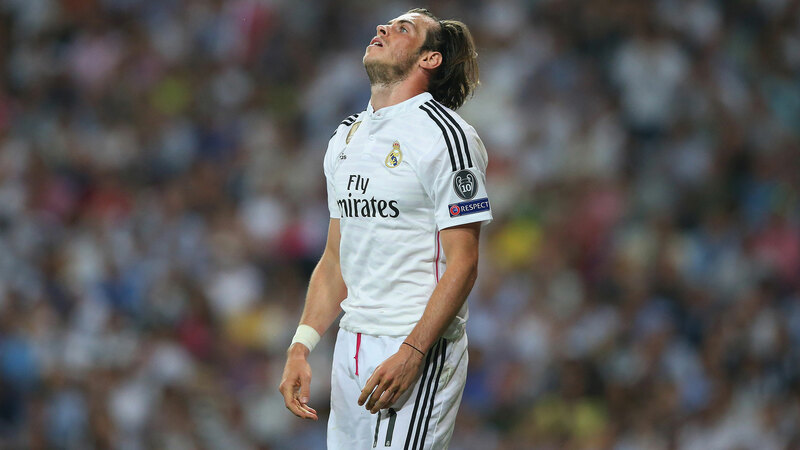 Bale has played week in and week out for the team that employs him, and the fans, in turn, have abused him.